It’s a couple of years old but still works perfect as you’d expect from anything Apple. Got a few scratches, but they are pretty insignificant that’s only to be expected when you’re wearing it on your wrist everyday! I’ve tried to show them on the photos taken yesterday. A great watch and great fitness tracker, will help you count those steps! 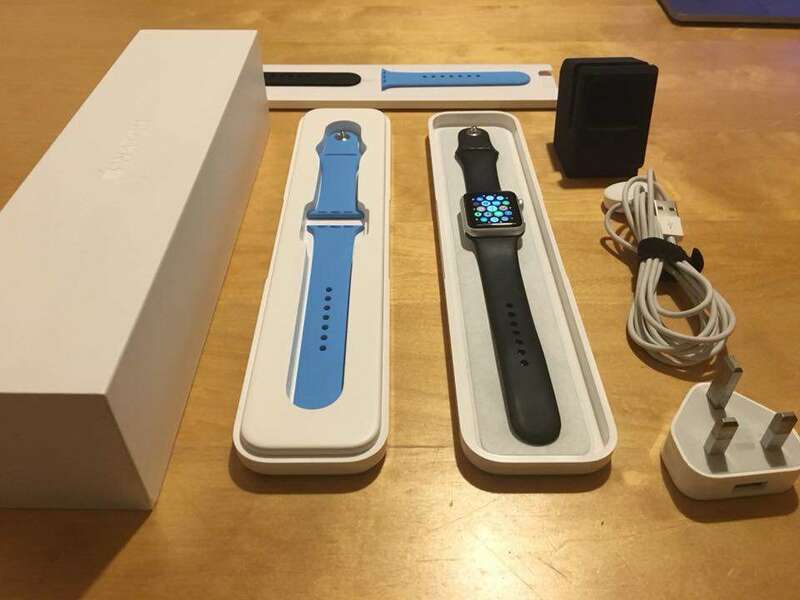 Comes with original box, original case, charger, a black rubber wrist strap, an unused blue rubber wrist strap and a cute little mackintosh watch holder which lets the watch act as an alarm clock at night when your charging it.